Ten years ago this probably wouldn’t even have been a topic of conversation. If it had, it likely would have been about medical tourism. There would’ve been outrage directed at “third world” countries who allow unregulated and unproven stem cell “therapies” to be offered to desperate patients. Well, that concern is now closer to home. There are now hundreds of such clinics across the U.S. The number of clinics is growing, more people are being hurt, state and federal oversight is shockingly inadequate, and the question has become urgent: What can we do about it? It’s also why we’re hosting a Tweet chat about stem cells that will bring together journalists, stem cell researchers, ethicists, and hopefully many patients and family members. 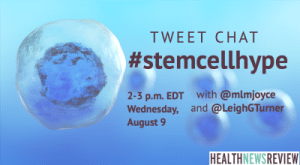 The chat will be held on Wednesday, August 9 from 2 to 3 p.m. EDT under the hashtag #stemcellhype. What is #stemcellhype? Can you share examples from news stories/PR/marketing in your area? What are the harms of #stemcellhype? Why does this matter to patients and the public? 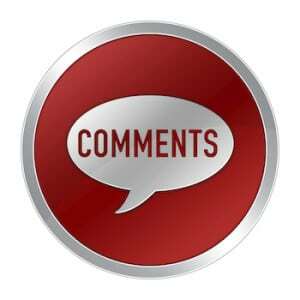 What advice can we give consumers trying to tell legitimate from non-legitimate stem cell therapies? Stopping #stemcellhype: Where do we start? FDA? FTC? Medical boards? Journalism? Stem cell therapies — when properly researched and applied — hold great promise. That makes it all the more critical to openly discuss stem cell interventions that are not evidence-based, not regulated, promoted in misleading ways, and have the potential to cause harm.